Display It is a presentation system that enables you to expose documents in a professional and eye-catching way. The E-Clip makes it easy to change your messages in a few seconds. The E-Clips are easy to link to each other which allows both vertical and horizontal presentations. 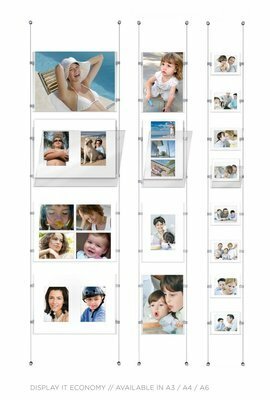 Display It can also be used in combination with a hanging rail (flexible installation).